Look closely. That is one exotic piece of equipment. Not sure if home-built or factory built for testing and evaluation, but sure looks fun. One of the great off-road racing images ever captured. 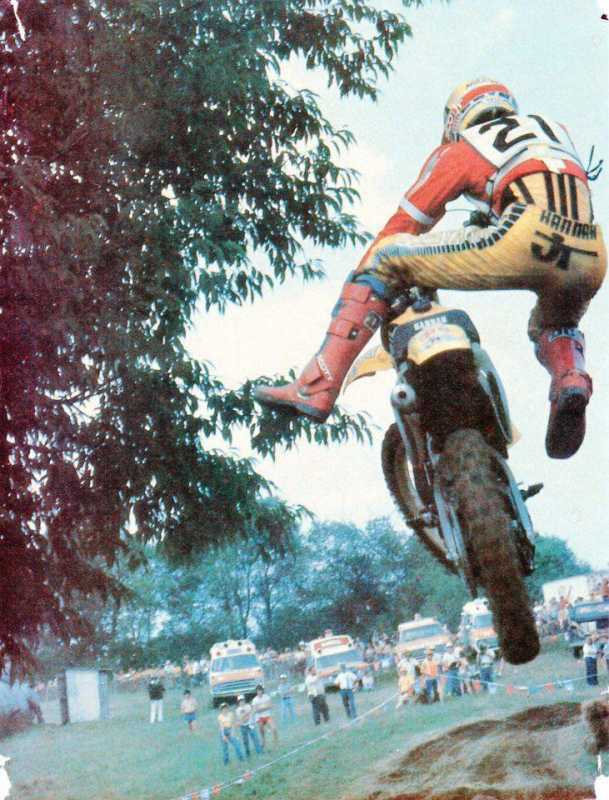 Bob Hannah, Unadilla, in the inimitable Hannah style. 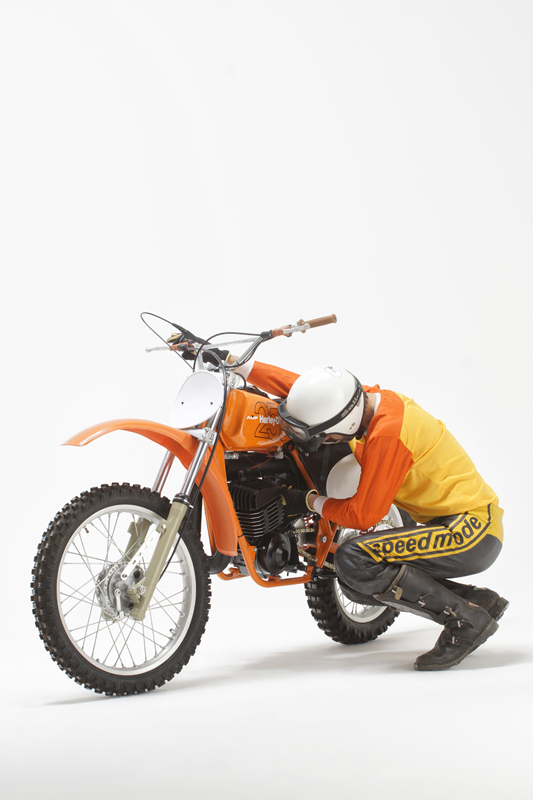 Harley-Davidson motocrosser. They bring big money, these days.